Free support group for pregnant and postpartum moms! 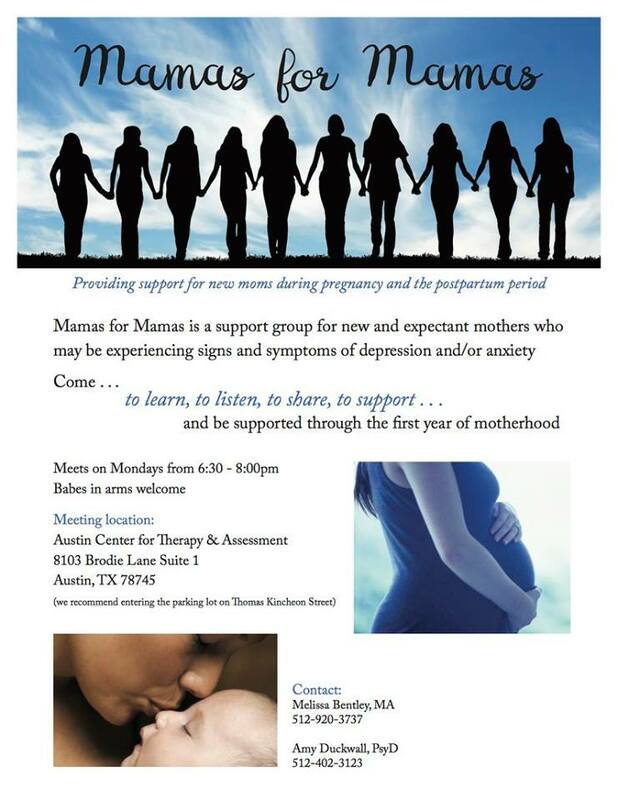 Mamas for Mamas is a support group for new and expectant mothers who may be experiencing signs and symptoms of depressions and/or anxiety. Come learn, listen and share through the first year of motherhood.